1 out of 8 women will develop breast cancer in their lifetime. 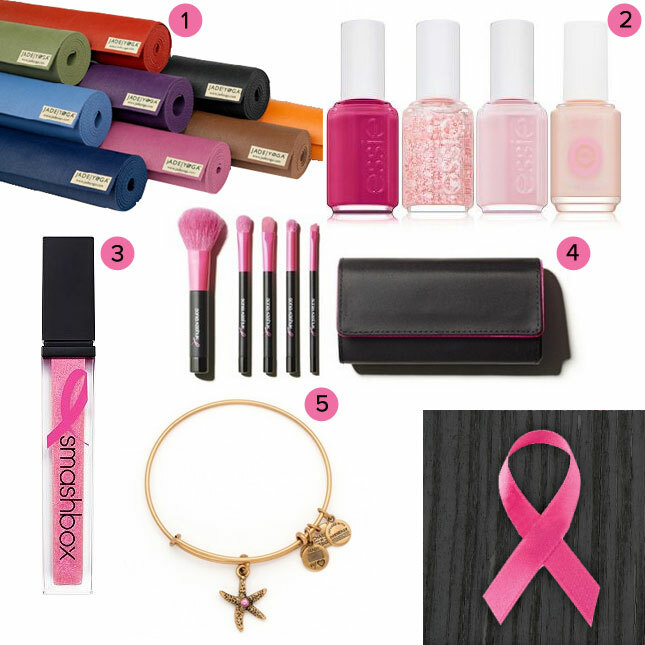 In honor of Breast Cancer Awareness Month, I have picked my favorite pink products that give back. Each one of these products gives a portion of their sales to help fight this terrible disease. 1. Jade Yoga Mats – Not only do they make environmentally friendly mats but they are giving $5 of every pink yoga mat sale to fight breast cancer. 2. Essie Nail Polish– A portion of each color benefits City of Hope. 3. Smashbox – Limited edition just for cancer research. $5 of each lipgloss goes to research. 4. Sonia Kashuk Brush Set – What girl doesn’t want pink makeup brushes while donating to cancer research? 15% of each set goes to help the fight. 5. Alex and Ani Bracelet – The perfect stackable bracelet. 20% goes to the Gloria Gemma Breast Resource Foundation.